LONDON (Sputnik) - UK Prime Minister Theresa May's recent defeat at the hands of her own Cabinet over her proposal on "customs partnership" with the European Union after Brexit is symptomatic of her government's lack of coherence on the UK withdrawal from the bloc, experts told Sputnik. May suffered a surprise change of fortunes at a meeting of her inner Cabinet on Wednesday when its members, including freshly appointed Home Secretary Sajid Javid, united in the opposition to her plans for an ad-hoc "customs partnership" with the European Union after Brexit. The hybrid option, proposed by the prime minister, means the United Kingdom would continue to collect tariffs set by the EU customs union for goods coming into the country on behalf of the European Union. However, the plan has been criticized by a group of pro-Brexit Conservative lawmakers, who sent a letter to the prime minister as quoted by the Sky News TV channel, arguing that the "customs partnership" is "undeliverable in operational terms and would require a degree of regulatory alignment that would make the execution of an independent trade policy a practical impossibility." "I think the sooner the idea of this 'customs partnership' is killed off the better, as the government is trying to push forward in a direction that's running up against a brick wall," John Petley, a spokesman for the Campaign for an Independent Britain (CIB), said. According to Petley, a point of crisis would be reached soon, which would only force May to look for another option. "Otherwise the government just doesn't know what it's doing and this includes Mrs May. I think she's just heading for a brick wall," he stressed. In potential defiance of her Cabinet, May is said to have instructed officials to prepare "revised proposals" of the "customs partnership" policy, something that may yet lead to further conflict among ministers. Time constraints and possible intransigence from Brussels pose yet another problem, one that may not be easily overcome with the UK government still struggling to formulate a coherent policy since the original Brexit referendum in June 2016. "In a 'customs partnership,' the UK would be working to collect EU customs duties, even though it wasn’t formally party to a customs union – the logic is that this would remove the need for checks between the EU and UK, while simultaneously letting the UK go and conclude new trade deals with other countries, which it couldn’t do from inside a Customs Union," Dr Simon Usherwood, the deputy director of the program UK in a Changing Europe, said. Usherwood added that the European Union "did not think the 'customs partnership' is technically feasible," at least not in the time-frame allowed by the Article 50 of the Lisbon Treaty, which is two years. May's Cabinet crisis is only the latest in a sequence of setbacks for her government in its bid to negotiate an amicable exit from the European Union in time for the March deadline next year. 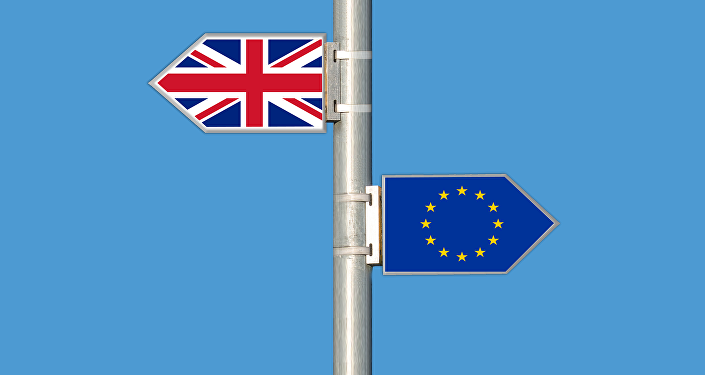 In what was at times reported as a de facto endorsement of a continued Customs Union, the House of Lords voted last month on an amendment to the government's EU Withdrawal Bill requiring ministers to report on steps taken to remain within existing tariff arrangements. This was followed up with another defeat for May's administration when the House of Lords voted on Wednesday for an amendment to the EU Withdrawal Bill, which requires the government to act in a way compatible with the Good Friday Agreement and avoid a hard border between Northern Ireland and the Republic of Ireland. "Much hangs on what the Cabinet decides to do on policy; right now, that’s not clear at all. In addition, the Lords isn’t going to overstep its mark in constitutional terms, leaving the heavy lifting to the Commons, where opposition remains much more uncertain because of Labour’s internal debates. So this week hasn’t really changed anything, but merely underlined that the UK still doesn’t have a settled policy on Brexit," Usherwood underlined. Critics have also raised the possibility of a "Brexit in name only" scenario developing, one where the United Kingdom remains formerly outside the European Union yet bound by administrative and legal arrangements. "We are heading towards a situation where we won't really undergo any effective departure from the EU. We need to remember though that here's an easy alternative at hand. Norway is out of the EU. Iceland is out of the EU. We could be the same. We could join EFTA [the European Free Trade Association] and it would be done and dusted," Petley pointed out. In December, the United Kingdom and the European Union reached a preliminary agreement on the rights of citizens, the financial settlement and the general framework for resolving issues linked to Northern Ireland's border with the Republic of Ireland, as part of the ongoing Brexit talks. 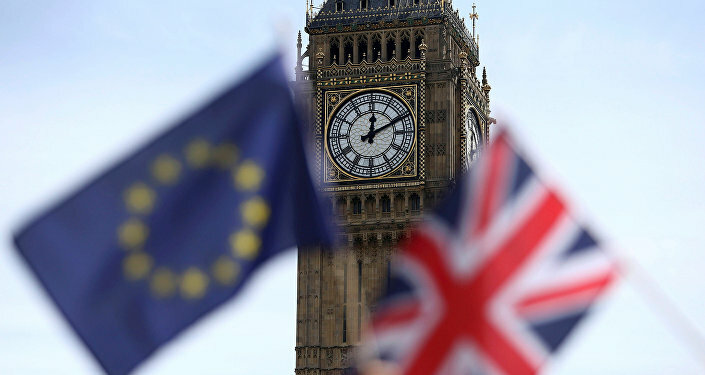 The United Kingdom is expected to leave the bloc in March 2019.